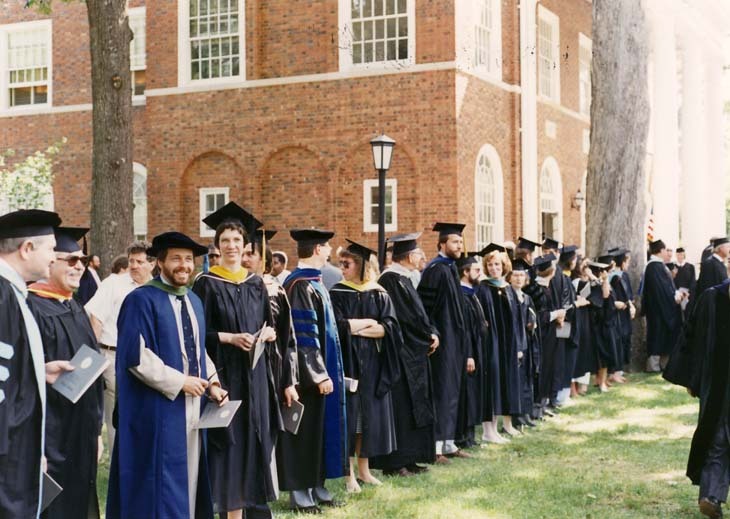 Academic regalia has been worn by faculty and students at Elon during Commencement and selected Convocations since the first Commencement at Elon in 1891. The wearing of academic regalia at modern colleges and university’s originated in medieval European universities and has not changed much since the 16th century. It signifies the wearer’s academic accomplishment and includes a robe, head covering, and hood. 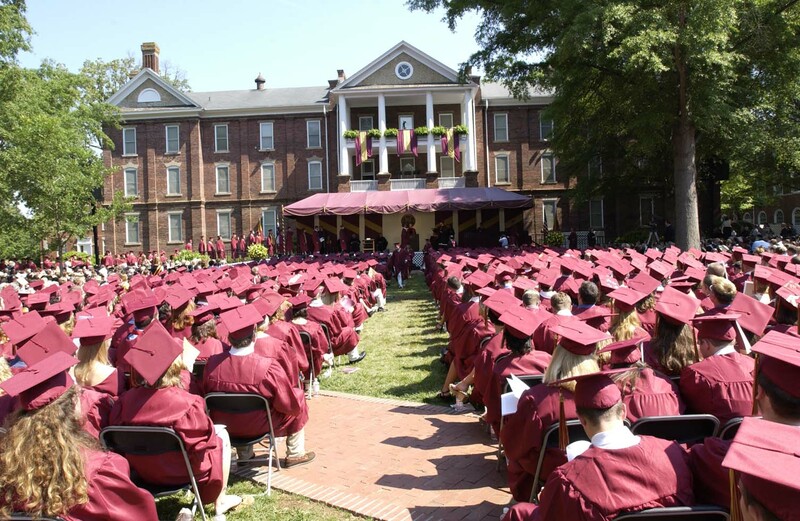 The baccalaureate robe at Elon is maroon, representing one of the school colors. It is a simple design, with full sleeves. The master’s robe at Elon is black, and has a closed or glove sleeve that is open at the wrist. The doctoral gown is very different from the baccalaureate or master’s gown, with velvet panels down the front and velvet chevrons on large bell-shaped sleeves. Additionally, the head covering for those who hold a doctorate is a velvet Tudor cap with a tassel. Both the baccalaureate and master’s head covering simply have a tassel. In addition to these various distinctions between different levels of academic accomplishments, the hood also adds meaning to the academic regalia. The hood falls from the shoulders down the back of the gown, and displays different colors based on established disciplines. The hood is usually black with a colored edge that represents the discipline of the wearer’s degree. The color in the silk lining represents the degree being awarded by the college or university.